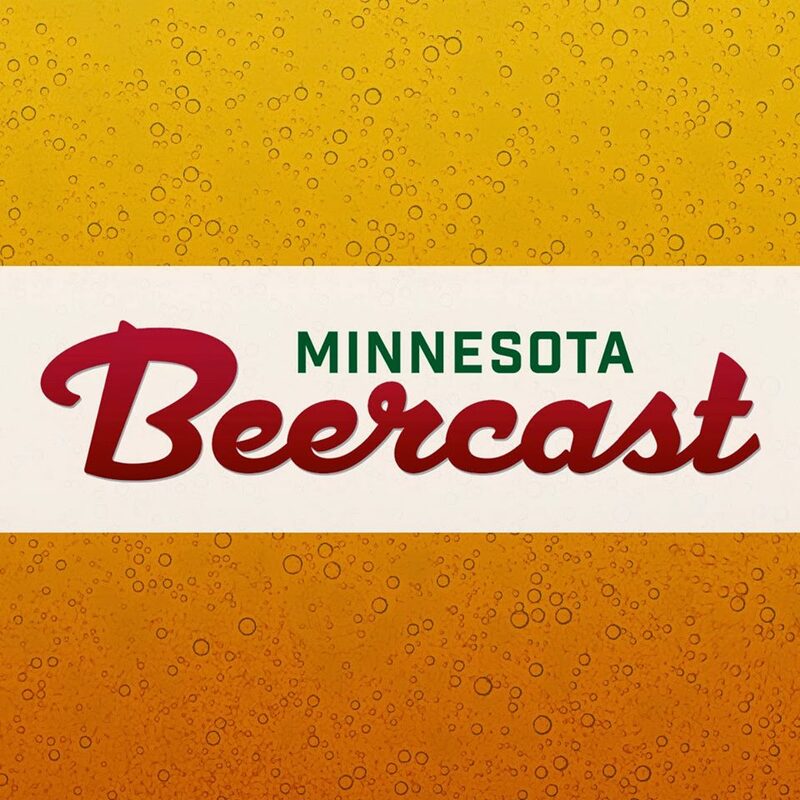 Just over 1 year old, Lake Monster Brewing has made a nice splash on the local beer scene with an IPA and Czech-style Pils. 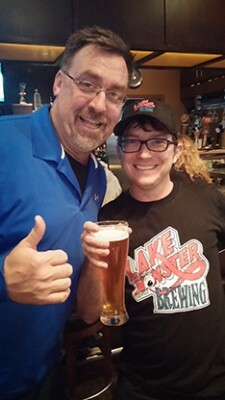 Yesterday, Lake Monster tapped their first keg of Loonatick, a wet-hopped ale brewed with fresh cascade hops grown on Lake Monster owner Matt Zanetti’s family farm. 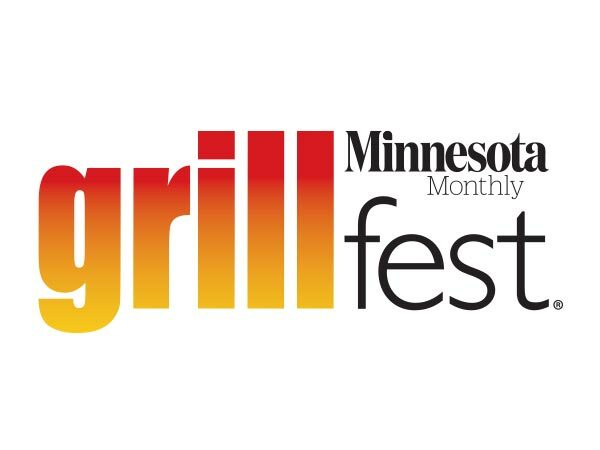 Here’s the scoop on it! I must say that I have a personal investment in this beer and am glad to finally see and taste the final product. 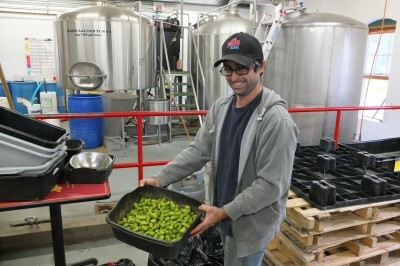 Last month, I went with the Lake Monster team to help pick the fresh Cascade and Mount Hood Hops that went into Loonatick. 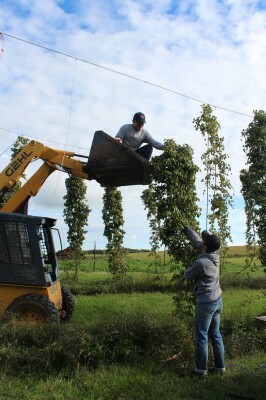 Pictured to the right are Matt Zanetti and Matt Lange, the owners of Lake Monster Brewing taking down a vine of fresh cascade hops that are to be picked by hand and brought directly to the brewery. The beer is a light to medium gold hue with a frothy white head that quickly dissipates, releasing a light pine and grapefruit aroma with zesty notes of ripe lemon peel. The flavor is very hop-forward but with just enough malt to keep it in balance. Pine and citrus notes from the aroma continue into the taste along with light green herbal notes. 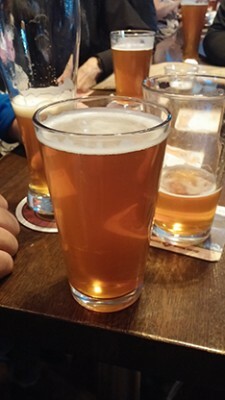 The finish is more citrus with a bitter grapefruit pith and light green peppercorn spice. The malt makes more of a presence at the end and is reminiscent of the flavors of the golden-brown crust on fresh-baked bread. As the beer warms, acute hints of fresh candied orange peel come through. The aftertaste leaves you with a lingering fruity bitterness. Overall, the beer is very sessionable if you’re a fan of hops. The beer is currently on tap at McCoy’s Public House in St Louis Park and will soon be dis tributed in select bars across the metro.